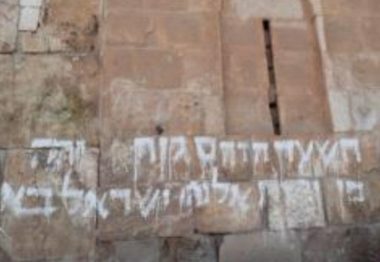 Illegal Israeli colonialist settlers painted, on Tuesday, racist graffiti on the outer walls of Bab ar-Rahma Gate, adjacent to the eastern wall of the Al-Aqsa Mosque, in occupied East Jerusalem. 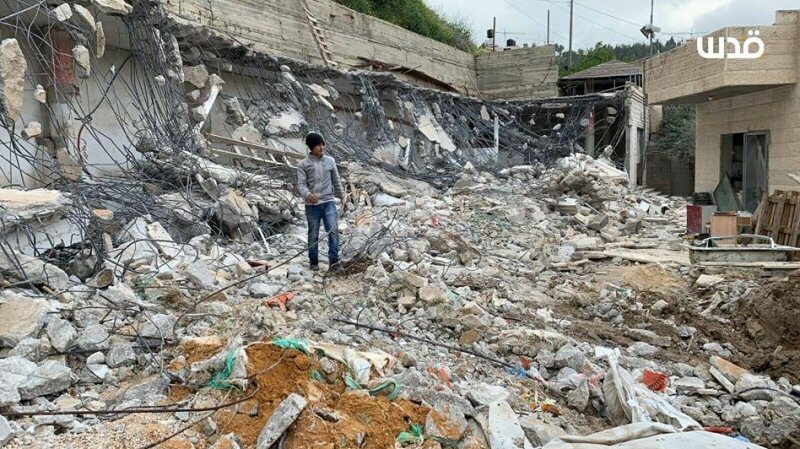 The incident took place just a few days after dozens of Palestinians managed to reopen the ar-Rahma area of the mosque for the first time since Israel closed it in the year 2003. The Palestinians in the city called for mass gatherings around Bab ar-Rahma, outside the mosque, to hold prayers and affirm their right to the holy site. Eyewitnesses told Ma’an News Agency that one Israeli settler raided the eastern part of Bab al-Rahma cemetery and spray painted racist, anti-Arab slogans on the wall. Israeli police detained the settler and took him for interrogation to an Israeli police station near the Lions Gate, in Jerusalem’s Old City. 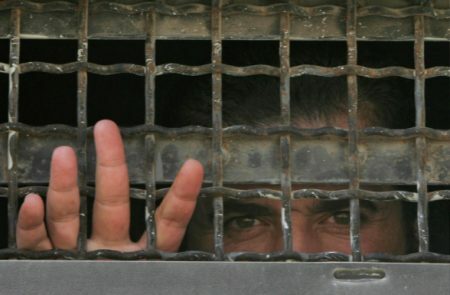 The Israeli army then initiated an extensive campaign in which the soldiers stormed and searched many homes in the occupied city, and abducted dozens around 60 Palestinians. Among the abducted Palestinians are several sheikhs and Imams, including two high-level officials with the mosque. In related news, the Israeli police handed a Palestinian teacher, identified as Hanadi Halawani, and order preventing her from entering Al-Aqsa compound for six months. 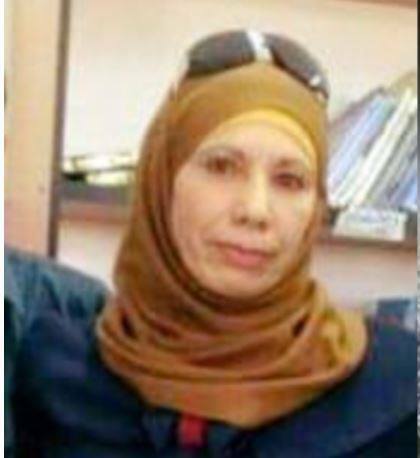 Halawani was taken prisoner, Wednesday, after the soldiers stormed her home in Jerusalem, and took her to an interrogated facility, before releasing her later. 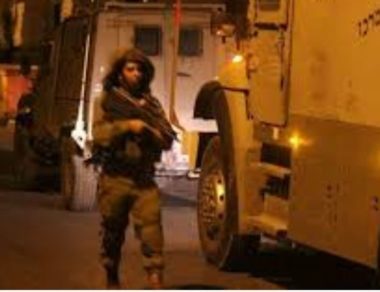 It is worth mentioning that the soldiers abducted, Tuesday, a Sheikh of the Al-Aqsa Mosque, identified as Ra’ed Da’na, near his home in Jerusalem, in addition to 21 other Palestinians across the occupied West Bank.